The Indian rupee appreciated by six paise to 62.44 against the US dollar in early trade at the Interbank Foreign Exchange market on selling of the US currency by exporters. The rupee had gained 37 paise to end at 62.50 on Monday after global crude oil prices dropped following a nuclear deal between Iran and world powers. Forex dealers said strength in other currencies against the Greenback overseas, after fresh figures showed pending US home sales slowed for the fifth straight month in October, also supported the rupee. They said, however, a lower opening in the domestic equity market capped the gains on Tuesday. 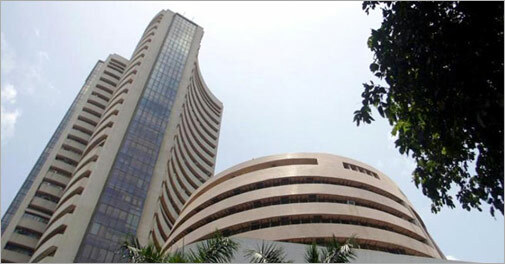 Meanwhile, the BSE Sensex fell by 66.06 points, or 0.32 per cent, to 20,539.02 in early trade on Tuesday. 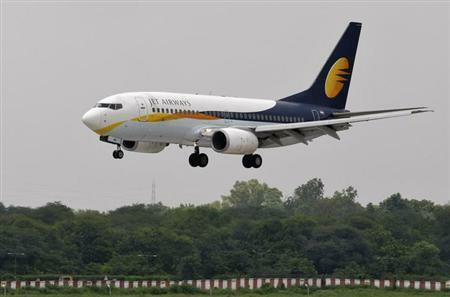 Reuters Market Eye – Shares in Jet Airways (India) Ltd gain 3 percent after Tail Winds Ltd, a private investment arm owned by the carrier’s promoter and chairman Naresh Goyal, sold about 7.9 percent of his 75 percent holding in Jet for around 2.10 billion rupees on Monday. Tail Winds sold 2 million shares of Jet Airways for 310.07 rupees a share, NSE data shows, which shows Deutsche Securities Mauritius Ltd buying 1.26 million shares for 310 rupees a piece. Dealers say the bulk sale is seen as a step in the completion of a 24 percent stake sale to Abu Dhabi’s Etihad Airways. The competition regulator on November 12 approved Etihad’s $325 million deal to buy a 24-percent stake in Jet Airways, the regulator said on its website. Reliance Communications on Wednesday rose after the firm reported over six-fold jump in its net profit at Rs 675 crore for the quarter ended September 30. The company had reported a net profit of Rs 102 crore in the corresponding period last financial year, it said in a statement on Tuesday. The company said the net profit includes Rs 441 crore from a write back provision. “The company has, during the quarter, reassessed the requirement of maintaining balance of Rs 441 crore of provision for business restructuring created pursuant to the schemes of amalgamation approved by High Court in financial year 2006-07 and as determined by the board, credited to other income as no longer required,” it said. At 11: 00 am , RCom stock was trading 4.37 per cent higher to Rs 134.80 on the BSE. More than a year after the Comptroller & Auditor General (CAG) tabled the coal block allocation report in the Parliament– which indicted the government for an estimated loss of Rs 1,86,000 crore while allocating coal blocks–the Central Bureau of Investigation is expected to file more first information reports (FIRs) against private sector companies. It has already filed 14 FIRs till now and plans to file chargesheet against some companies soon. Tata Steel, Tata Sponge and Tata Power feature among the 57 private sector companies that have benefitted from the government’s colossal loss, as per the CAG. 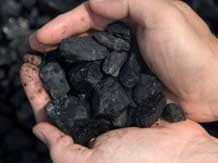 Tata Steel has been allotted two semi coking coal blocks–Kotre Basantpur and Panchmo–in Jharkhand, having combined reserves of 250 million tonne. The Ganeshpur thermal coal block, linked to a power project, with reserves of around 137 million tonne in Jharkhand was allotted jointly to Tata Steel and Adhunik Thermal Energy. While Kotre Basantpur and Panchmo were allotted on August 11, 2005, Ganeshpur was allotted on May 28, 2009. But years after the allotment, the blocks are still non-producing, primarily due to want of clearances. Tata Steel did not respond to questions put forward by Business Standard, but the company’s managing director, H M Nerurkar, had said last year that there was no scam in coal allocation. “There was a policy and people have followed the policy. Coal is just a pass-through. If coal prices increase, it would be reflected in power rates. What is the scam? Lots of figures are coming up, but there are many issues like lease issue and mine and environment clearances,” Nerurkar had said last August. Tata Steel officials had said in earlier interactions that the public hearing for the Ganeshpur block was over, but some of procedures were still pending, before the block was handed over to the companies. On the other hand, the legal formalities for the Kotre Basantpur and Panchmo had been processed by the state government and the central government’s nod was awaited. The lease for these two blocks, linked to Tata Steel’s brownfield expansion at Jamshedpur, were originally with Coal India and the transfer took some time, as well. That’s Tata Steel’s version. But on November 4, 2010, the coal ministry sent a showcause notice to Tata Steel over an inordinate delay in developing the Kotre Basantpur and Panchmo blocks. The coal ministry ‘s letter to Tata Steel said that in the review meeting held on June 22 and 23, 2009, the company had assured production in December 2011. “However in the review meeting held on 20/21 July 2010, it was noticed that no serious efforts have been made by the company to develop the coal block, even after repeated assurances tendered by the company during the period,” the letter read. The company was asked to respond in 30 days time, failing which the ministry had said, it could face deallocation. Tata Sponge, in which Tata Steel has a majority stake, has already drawn the flak for not meeting milestones. Its bank guarantee in respect of Radhikapur (East) jointly allocated to Tata Sponge, Scaw Industries and SPS Sponge Iron, was recommended for deduction last year. The inter-ministerial group deliberated on the presentation made by the companies and decided against deallocation of the block, but felt that the bank guarantee could be deducted due to shortfall in production. Another Tata group company, whose name is doing the rounds for not meeting milestones, is Tata Power. Tata Power has a joint block with Hindalco Power Ltd in Jharkhand, which was allocated on August 1, 2007. The block has reserves of 189.823 million tonne and is non-producing, according to the CAG report. Tata Power shares another block with Monnet Ispat & Energy and Jindal Photo, which is also non-producing. The block was allocated on January 9, 2008 and has reserves of 322 million tonne. With improvement in demand for their segment, information technology (IT) companies are expected to raise the hiring of fresh college graduates. However, unlike in earlier years, when companies were doing mass recruitment from campuses, more of IT companies are seen as slowly moving towards off-campus hiring. It appears nobody wants to take a chance by creating a huge bench of skilled personnel who then need to be fully utilised. Instead, the preference is for off-campus hiring as the need arises, putting them on projects as early as possible, so that clients can be billed almost from the first day. Off-campus hiring is increasing, says Kris Lakshmikanth, chairman of Headhunters India, primarily to cut bench cost. In an earlier interview to Business Standard, Naveen Narayanan, Sr VP – human resources, at HCL Technologies had said the company was recruiting off-campus to reduce training time. “This (off-campus hiring) is natural, that organisations will hire in need, in a modern structure,” said Prashanth Vaidyan, senior partner – technology practice, MapleCode Consulting. Companies which had traditionally focused on campus hiring for fresher requirements are also considering the off-campus route. For example, Tata Consultancy Services, which recently raised its hiring forecast, is considering this route for the current financial year. “We have never hired off-campus but now we are open to it. This is a new strategy we have put in place,” said Ravi Shankar, executive VP and chief people officer at Mindtree, a Bangalore-based midsized IT services company. Experts also say with IT hiring expected to pick up with improvement in the demand environment in the second half of FY14, most companies would be forced into off-campus recruitment. “With the changed view of ‘Just in Time’ hiring, fewer campus hires are being picked up. Companies are preferring to bring fresh as well as experienced talent as per the actual demand that gets created,” said Surabhi Mathur-Gandhi, senior VP, Teamlease Services. The rupee is set to start strengthening by the end of the week, as month-end dollar demand from importers comes to an end. However, the near-term trigger for the rupee remains the outcome of the Reserve Bank of India (RBI)’s second quarter monetary policy review. According to the Street, as the rupee had stabilised, RBI might roll back some more measures taken earlier to tighten liquidity. “The rupee might not appreciate beyond 61 a dollar. But since month-end dollar demand comes to an end, the bias is towards strengthening of the rupee,” said Sandeep Gonsalves, forex consultant and dealer, Mecklai & Mecklai. The currency ended at 61.46 on Friday, compared to the previous close of 61.47 a dollar. It had opened at 61.50 and touched a high of 61.44 and a low of 61.79 during intra-day trade. According to currency dealers, the rupee weakened due to dollar demand by foreign institutional investors (FIIs) selling their investments in domestic markets. Besides, there was month-end dollar demand from importers. 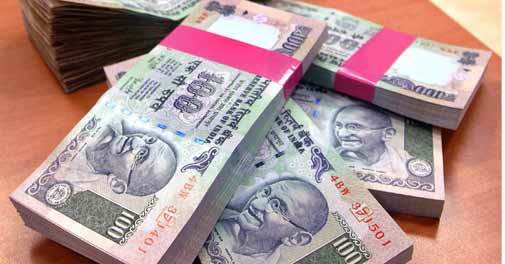 However, the rupee ended stable on dollar sales by companies in the last hour of trading. The yield on the 10-year benchmark government bond 7.16 per cent 2023 ended stable on Friday, at 8.58 per cent. Since inflation has been rising, the Street expects the repo rate, at which banks borrow from RBI to be increased for a consecutive month. “The yield on the 10-year government bond may trade in the range of 8.20 per cent to 8.80 per cent, depending upon RBI’s policy actions,” said Dwijendra Srivastava, head of fixed income, Sundaram Mutual Fund. Wholesale Price Index-based inflation stood at a seven-month high of 6.46 per cent in September, compared to 6.1 per cent in August, while Consumer Price Index-based inflation quickened more than expected to 9.84 per cent in September from 9.52 per cent a month ago. 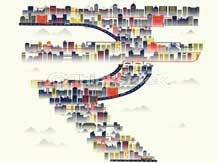 MUMBAI: The rupee ended two sessions of gains and fell 48 paise to 61.55 against the dollar after weak inflation and industrial output data amid fresh demand from importers for the US currency. The decline came even as local equities firmed up amid sustained capital inflows. A weak dollar overseas also failed to stem the rupee’s fall, a forex dealer said. At the interbank foreign exchange market, the rupee resumed lower at 61.15 a dollar from the previous close of 61.07. It then dropped to the day’s low of 61.55, a loss of 48 paise or 0.79 per cent. In the previous two sessions, the currency had gained 86 paise.